North Star's unique puppy raising program is at the very heart of our services. We believe that our pups impact all who come to our work, whether through volunteering or receiving a North Star dog as a sibling of a child we are meant to serve; our pups can have a positive impact on everyone who participates in our work. Puppy raisers typically serve just a few months per pup, but this time is valuable to help this pup in training adjust to life inside a friendly home. 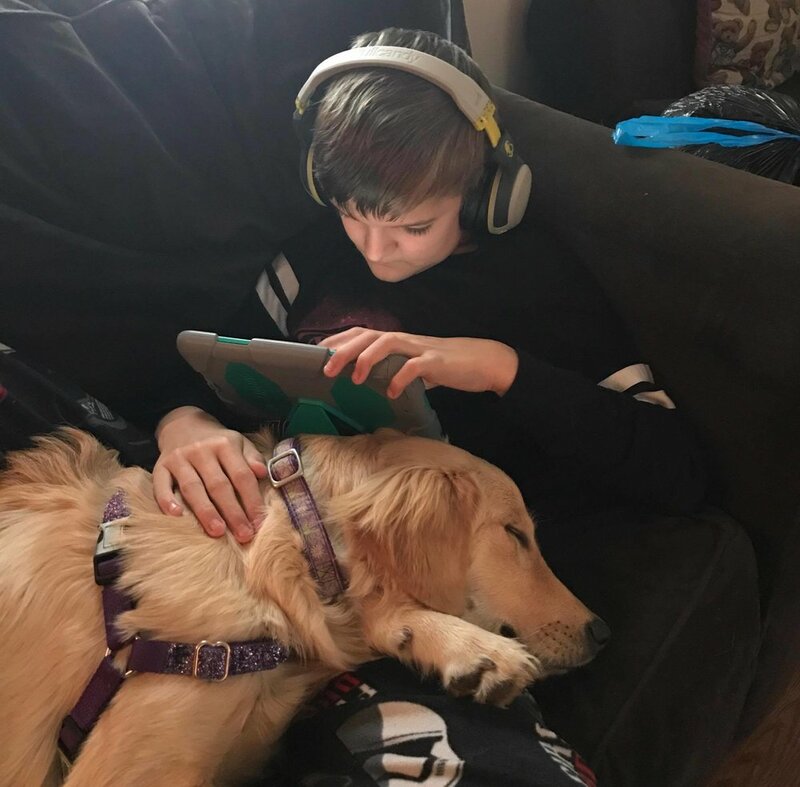 This allows the child we are serving the opportunity to get to know his or her pup in a slow transition custom designed to better meet their specific needs. To have a local puppy raising home available to support this transition is invaluable to our work, and it can be a life changing experience for the host family, who can support not just the pup but the placement and the North Star team they helped to create. Puppy raising is an educational process, not just for the puppy raiser but everyone the meet in their forays into the public realm. You cannot truly understand autism or raising a autism assistance pup outside of a social context, and so our work is community based, with our volunteer puppy raisers and support families intrinsic to this process. Please contact Patty Dobbs Gross at pattydobbsgross@gmail.com to learn more about becoming a puppy raiser for a North Star pup in training.